Cool season, long-lived, perennial bunchgrass found on a wide variety of sites, including acidic soils but not adapted to saline soils. Highly productive and palatable to livestock and wildlife. 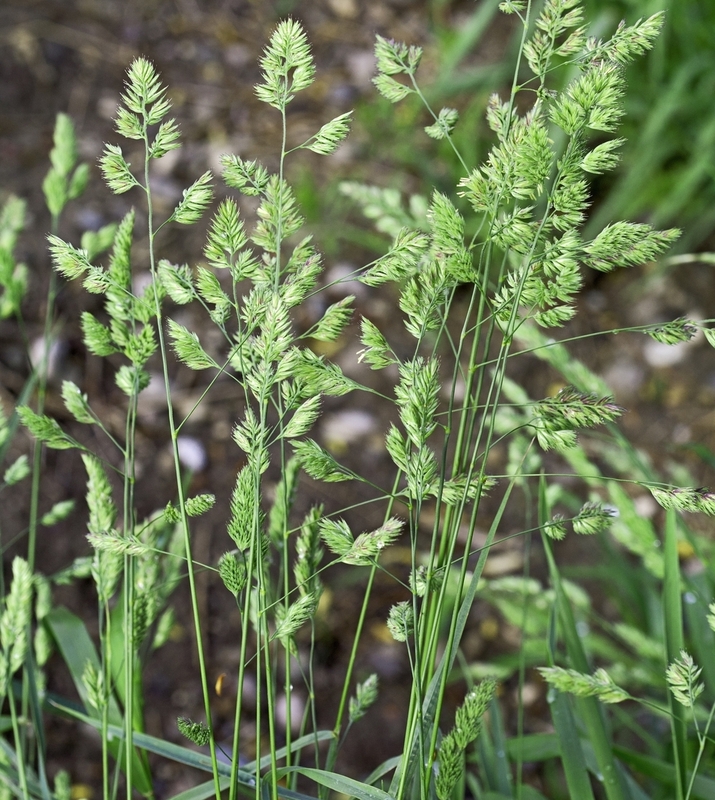 Predominantly used as a forage grass for pasture and hay production, though at times is used for erosion control on disturbed sites. Compatible in mixes with legumes and other forage grasses. Various varieties available. Crown Royale - High yielding, high quality, long-lived, variety with excellent seedling vigor. Tillers better than other varieties, so there is less clumping. Leaf and stem rust resistant. Quick to recover after grazing or mowing. Both shade and drought tolerant. Late maturing, similar to Latar and Pennlate. Profile - High yielding variety selected for vigor, heat and drought tolerance, leafiness, winter hardiness, and disease resistance. Deep rooted. Use in irrigated or dryland production. Highly palatable. Early-medium maturing. Tekapo - A unique orchardgrass with a very low crown and a dense prostrate growth habit, allowing it to be grazed to near ground level; especially well-suited for sheep and horse grazing. Produces dense stands which are able to persist even under hard, continuous grazing. Winter hardy. Medium-late maturing.